By joining the SSCE, you will be contributing to pioneering efforts in the scientific study of human culture and cultural change. Sign up now to receive updates and provide input on the society's goals, research programs, and upcoming conferences. 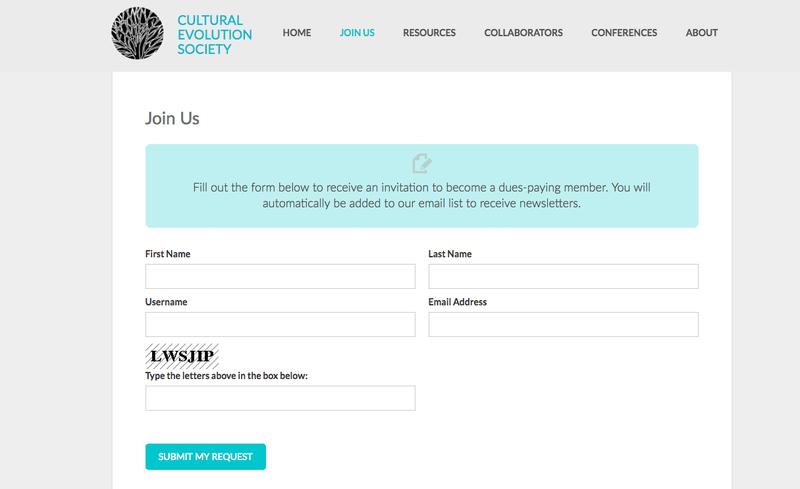 To join the Cultural Evolution Society please visit the society’s new website [HERE]!